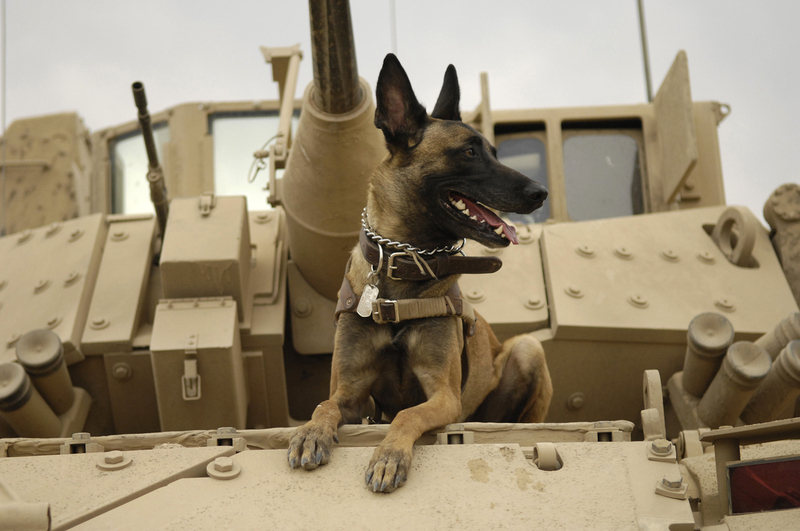 The Belgian Malinois is a medium breed of dog, the short-haired version of the Belgian Shepherd. Belgian Malinois are named after the Belgian city of Malines. For centuries Belgian farmers developed a variety of sheep dog, which was eventually catalogued by Professor Reul of the University in Brussels in 1891. Finding eight types, he recommended that they be bred separately. The Belgian Kennel Club later registered three varieties, and of the eight types identified, only four remain today. One variety, the Groenendael, went to the US in 1907, was highly regarded as a messenger dog during WW1 and now is more popular in America than in Europe. The Belgian Shepherd is the national dog of Belgium. 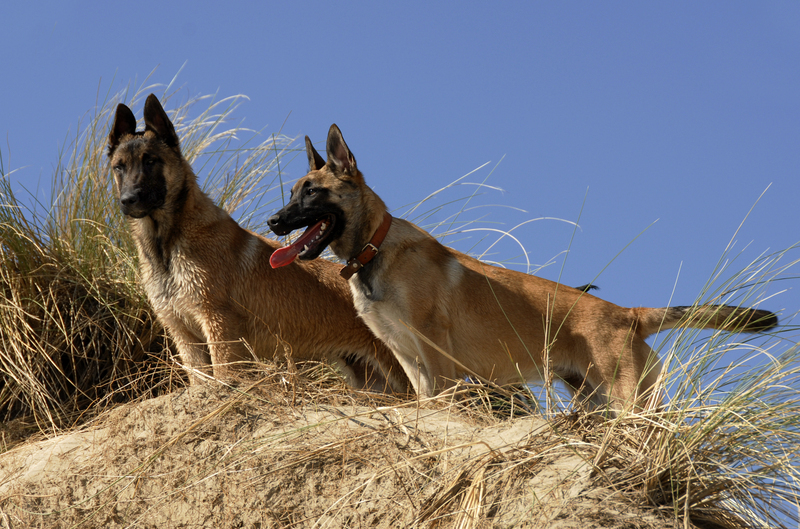 The Malinois has a short mahogany coat with black markings. It has black erect ears and a black muzzle. It has a square build in comparison to the German Shepherd. The other varieties of the Belgian Shepherd are distinguished by their coats and colours. The Tervueren is the same colour but has long hair; the Laekenois is fawn and lacks the black mask and ears, and the Groenendael has long hair and is solid black. The Belgian Shepherd is an intelligent and attentive breed, wary of strangers but not timid or aggressive. They are protective of their families, but if left alone can become introverted and even fear-biters. They are slow to mature mentally, and are not considered mature until they are three years old. The Belgian Shepherd was developed as a working dog and requires at least a 30 minute walk each day. While they are good guard dogs, they should not be left alone in the backyard or apartment for long periods, as they can become destructive. Belgian Malinois will live for 12 to 14 years. Hip dysplasia is not unknown in the breed, but Australian breeders have done much to decrease the instance of this problem. Belgian Shepherds require daily brushing and combing, for at least a total of 30 minutes a week, with special attention to the undercoat during the shedding season. Excess hair should be removed from the inner ear and between the toes, and owners should watch for tangles in the ‘pantaloons’ and behind the ears. Belgian Malinois are ideal for an active family with older children or for a person with time to devote to an animal, and make protective guard dogs. 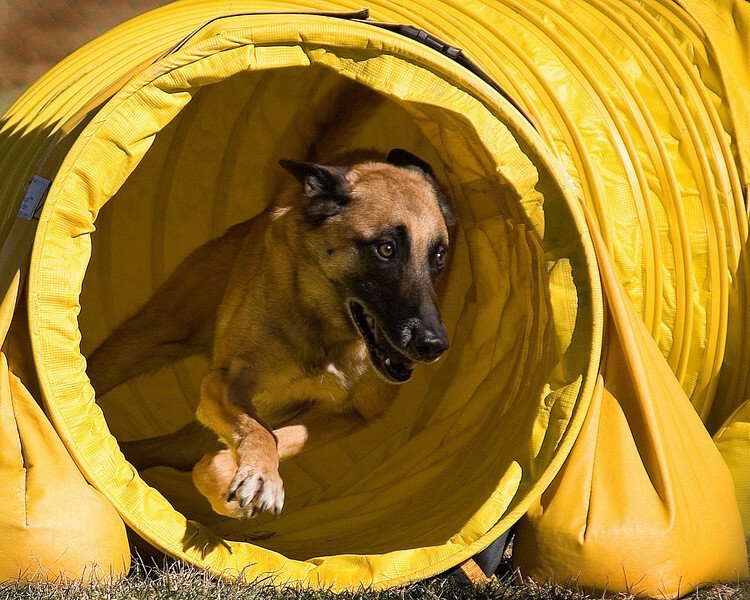 Owners say that Belgian Malinois, like any dog, should always be watched with children. 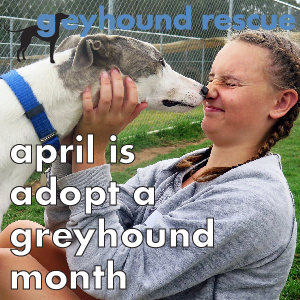 Training other than house-training, should be delayed until a puppy is nine months old however they are biddable and can be trained. The Malinois breed is used as a working dog for tasks including the detection of odours such as explosives and narcotics, tracking of humans in police work and search and rescue missions.